Seventeenth century Dutch painter and etcher Rembrandt Harmenszoon van Rijn, was born on July 15, 1606. Considered as one of the greatest painters in the history of Dutch and European art, he was a major contributor to the Dutch Golden Age, which led to the formation of new painting genres. In his early years he was able to achieve much success as a painter of portraits and while his life was beset with financial tragedies and hardships, his works endured throughout his lifetime. He taught many Dutch painters for 20 years, and his personal creativity can be seen in his Biblical scenes and self-portraits, which could be likened to an intimate biography as he portrayed himself with extreme sincerity and no trace of vanity. 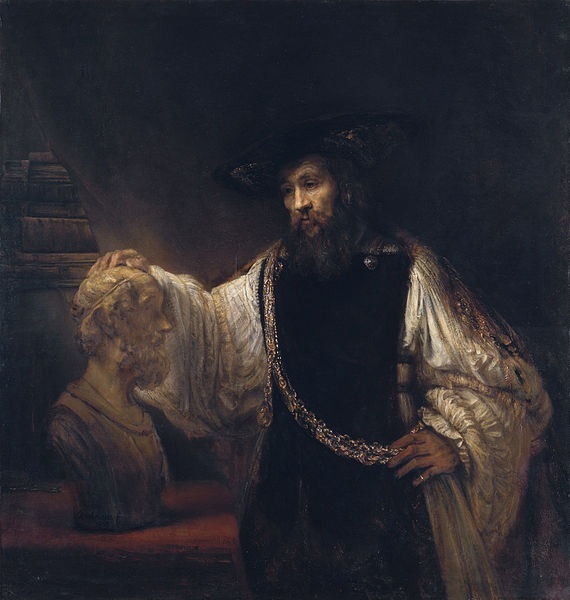 The artist, who only used his given name, Rembrandt, has a deep knowledge of classical symbolic representations, which he then molded to his requirements based on his personal experiences, which can be seen in his depictions of Biblical scenes, which often were from his personal knowledge of a specific passage, his observations of the Jewish population in Amsterdam and his absorption of classical composition. Rembrandt, who was regarded as the greatest Golden Age artist in Holland started his career in his hometown, Leiden before he moved to Amsterdam. Although he never had the chance to go abroad, he carefully studied the works of his mentor, history painter Pieter Lastman, Lucas van Leyden and other Northern artists who worked in Italy such as Peter Paul Rubens, Adam Elsheimer, Anthony van Dyck and Gerrit van Honthorst, who was his primary link to Italian artist, Caravaggio. What was crucial in the development of Rembrandt was how he intensely studied objects and people in their natural surroundings. It showed in his works and even by the Dutch standards in those times, was just incredibly exceptional. Even if his style continued to evolve, that inherent quality he had of deeply studying his subjects remained with him, especially the driving rendition of human situations, texture, modeling, atmosphere, space and light. This also contributed to his greatness as a teacher. Rembrandt became a very well-known portraitist in Amsterdam, as patrons became attracted to his dramatic compositions and use of light and dark, like in the painting titled “The Anatomy Lesson of Dr. Tulp.” Most of his commissions were secured with the help of Hendrick Uylenburgh, a Mennonite art dealer. The religious movement usually favored personal interpretations of the Bible, which may have contributed to the moving and subjective treatment Rembrandt gave to his religious paintings. He also did several self-portraits, basically based on the works of Titian and Raphael. Caravaggio’s influence can be clearly seen in his adoption of chiaroscuro and its almost theatrical use of light and shadow. Rembrandt was also noted for his often lively and dramatic presentation of his subjects, without the formal rigidity that many of his contemporaries subscribed to and clear presentation of his deep compassion for people of any age and wealth. Notable in his portraits was the way the sitter’s face was angled so that the ridge of the nose became the demarcation line between the shadowy and illuminated areas. It is normal to see a portrait done by Rembrandt with part of the face partially obscured, which dramatically led the attention of the viewer to the stunning effect of light and shade. 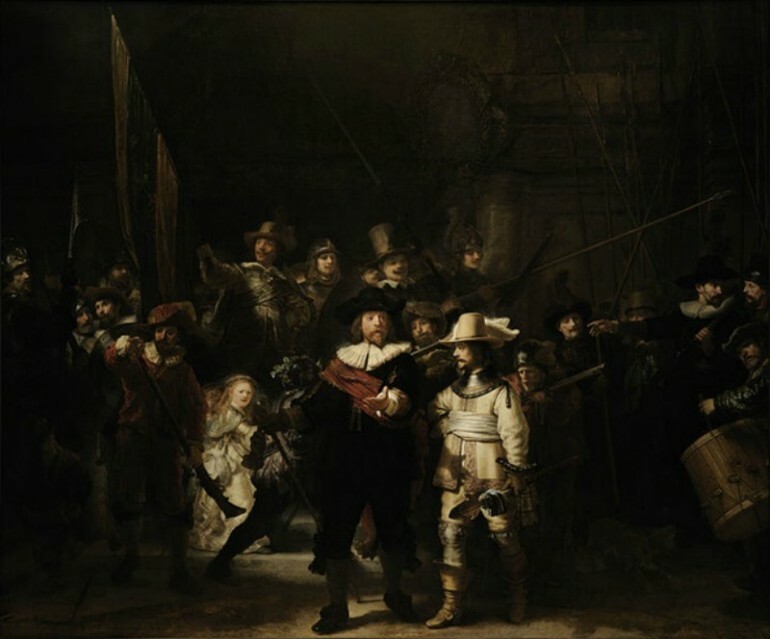 One of his major and remarkable works was “The Night Watch” that Rembrandt painted in 1642. It was said that this painting marked the end of his remarkably successful years as a well-renowned painter. He did get other commissions from the city government of Amsterdam and other patrons and even if he suffered financial ruin and had to declare bankruptcy, he had already created several masterpieces, including “The Syndics of the Amsterdam Drapers’ Guild” that is located at the Rijksmuseum in Amsterdam. Aside from being a master of painting, he was also a great draftsman and a very innovative printmaker. He created close to 350 etchings, applying painting techniques and modes of illumination to his work. Although there were many paintings and etchings attributed to Rembrandt, a study done by art connoisseurs in the 20th century narrowed down the list to 300 etchings/engravings, about 2,000 drawings and 300 paintings. His self-portraits, previously pegged at ninety, was reduced to 40 that were painted by him, as many were copies done by his students.